Forget about evolution and creationism for a minute. We see more evidence today that the first shot in many educational culture wars takes place not in science, but in history. When it comes to schooling and culture wars, we spend a disproportionate amount of time talking about creationism and science. It makes sense. In that case, we see a stark and shocking disconnect between contending visions of proper knowledge for children. But some of the most virulent culture-war battles happen over historical issues. Conservative Christians in the United States often embrace an historical narrative that is at odds with mainstream academic interpretations. Counter-historians like David Barton sell just as many books as do counter-scientists like Ken Ham. And the difference between mainstream academic history and dissenting Christian histories can be just as stark as the differences between the modern evolutionary synthesis and young-earth creationism. In the United States, one of the most stubborn conservative dissenting histories has been that of neo-Confederatism. 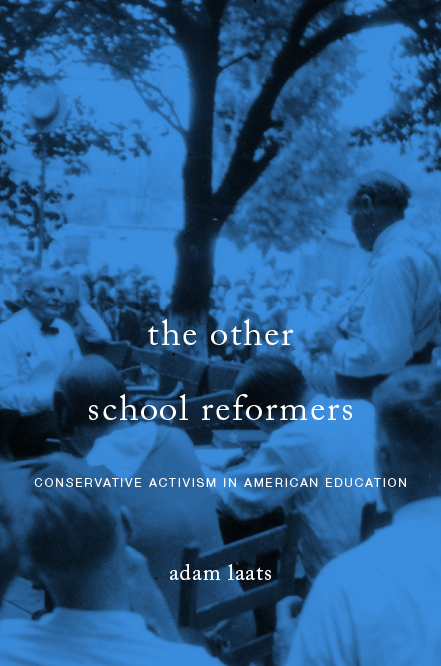 As David Blight demonstrated in his terrific book Race & Reunion, conservative history activists in the US South scored major successes in limiting public-school histories to those that flattered the losing side in the Civil War. In nations around the world, culture-war conflicts often show up as debates over the nature of real history. In Japan, for example, the horrific crimes of the Japanese army in World War II are repeatedly minimized or even ignored in mainstream textbooks. In my own ancestral homeland of Estonia, a long Russian occupation has generated a kind of historic cognitive dualism. Most Estonians of a certain age know the pro-Russian history they got in their Soviet-era schoolbooks, but they don’t believe it. In contrast, Estonians tend to believe a folk history of heroic Estonian resistance, even though they don’t know much about it. In the pages of the New York Times this morning, we see another example of this kind of battle for history. In pro-Russian breakaway regions of Ukraine, new educational directives insist that the Soviet famine of the 1930s was not a Stalinist genocide, but rather a morally neutral tragedy that befell the entire Soviet Union. According to mainstream historians, including especially Robert Conquest in English, the Ukrainian famine was anything but morally neutral. Instead, the famine—a tragedy that killed millions of people—was the precise goal of Stalinist policy. In order to bring restive provinces in line, Stalin intended for the region to suffer. Will it work? Not likely. As is the case in every aspect of our educational culture wars, dissenting ideas have a way of surviving and even thriving in spite of official condemnation. See James V. Wertsch, “Is It Possible to Teach Beliefs, as Well as Knowledge about History?” in Stearns, Seixas, and Wineburg eds., Knowing, Teaching, and Learning History (NYU Press, 2000), pp. 38-50. I can understand why both historians and scientists get angry and feel they must fight. But to fight or not to fight is not the only question. How we fight matters as whether we fight. It’s possible to fight fairly and treat your opponents with respect, something sorely missing with creationists. Scientists and educators themselves disagree which topics in science are critical for people to learn, and especially non-scientists. Moreover, pretty much everyone agrees that there are many paths to science literacy. Since the experts don’t think evolution is absolutely necessary, and since there are many different ways to cultivate science appreciation and literacy, “fighting” over evolution seems particularly inappropriate. History is different. Adam can comment more authoritatively, but I get the impression historians agree on a canon that everyone should be exposed to. There also aren’t easy substitutions in history education. You can’t legitimately teach mid-19th century US history and avoid the civil war. But as medical schools all over the world demonstrate, you can teach biology and avoid evolution. “Fighting” might actually be a more appropriate response for history. And even then, we can make sure to to fight fairly and respectfully. Living in a democracy requires us to draw these types of lines. When it comes to public education, it may be okay to concede on evolution but not history. Ouch. This is what biologists and geologists must feel like when young-earth creationists get aggressive. In the past, I’ve chided mainstream scientists for their unwillingness to sympathize with creationists. Now that the topic is US History and I’m the one under attack, I feel more sympathetic to the biologists in the room. Here’s the story: A couple days ago I posted a short essay in the pages of the History News Network. I compared the history of neo-Confederate attacks on mainstream US history to the decades of creationist attacks on mainstream science. Why do textbooks still include hackneyed old myths, I asked. Why insist that slavery was not a leading cause of the Civil War? Why claim that thousands of slaves fought loyally for the Confederacy? Such things just aren’t true, and I reminded my history colleagues (and myself) that we must remain active supporters of real history in America’s classrooms. he’s definitely drinking the Kool-aid of the history revisionists. What he calls “revised history’ is actually the unvarnished truth. Yes, there were thousands of free blacks who fought FOR the South, along with thousands of Asians, Spaniards, Jews, Italians, all kinds of Europeans, and several entire tribes of Native Americans. It’s all documented and proven beyond any doubt. I hadn’t meant to be provocative, really. I hoped to remind other historians that they needed to remain actively involved in history education in their local communities. It was an historian from William and Mary College, after all, who discovered woeful mistruths in a textbook used by fourth-grade public-school students in Virginia. All of us need to serve as this sort of watchdog. President Birge was one of the first mainstream scientists to tangle with anti-evolutionists. His lesson to Conklin has been repeated by generations of mainstream scientists who engage with the issue of creationism. Lamentably, in these durable culture-war controversies, conversation has always taken a backseat to accusations. The same certainly seems to be true in this case. There really isn’t a controversy here; not a real one. Neo-confederate histories rely on half-truths and outright fabrication to “prove” their preferred stories. Activists rely on political pressure to crush out dissent and promote politically palatable myths instead of real history. To be fair, I don’t dispute the notion that this sort of anti-historical meddling goes on from the left, as well. There’s also not much disagreement among historians that the leftist history peddled by the late Howard Zinn is full of misleading half-truths and exaggerations as well. Yet Zinn’s People’s History continues to be used by activist teachers in America’s schools. That’s a shame as well. So what’s an historian to do? Do I have to swallow these insults in order to build bridges across culture-war divides, as I have suggested mainstream scientists need to do? Or is it more important to fight back, to take on neo-Confederate historians and activists on a point-by-point refutation? What would Bill Nye do? What does a real educational culture war look like? A recent story in the New York Times describes the way the Hamas government in Palestine’s Gaza Strip has pushed its all-out war against Israel into its textbooks. The militant Hamas government has produced new histories that glorify the role of Hamas, that denigrate Israeli land claims, and that teach a self-consciously heroic history to youngsters in the Gaza Strip. Will these textbooks change the way the next generation understands the Palestinian/Israeli conflict? The director of the research study about the Hamas textbooks thinks so. When a leader says something, not everyone is listening. But when we talk about textbooks, all the children, all of a particular peer group, will be exposed to a particular material. . . . This is the strongest card. Fair enough. Textbooks matter. As Professor Bar-Tal carefully put it, textbooks “expose” children to a certain perspective. As we’ve seen in the American context, every conservative group from the American Legion to Accelerated Christian Education has attempted to introduce patriotic or religious textbooks that will transform schooling and culture. But “exposing” children to a certain worldview is not the same as imposing that worldview on them. Textbooks make up only one part of education. As we’ve seen with evolution/creation battles in the USA, the way teachers use textbooks is significantly more important. As political scientists Eric Plutzer and Michael Berkman argued, teachers function as “street-level bureaucrats,” making important decisions about what to teach and how to teach it (pg. 149, see also pps. 160-169, 219). As the NYT article argues, Hamas certainly seems to understand this. The education policies of Hamas have ranged far beyond altering textbooks. Hamas sends morality police to patrol school campuses for proper behavior between boys and girls. They have also made important structural changes in schools in the Gaza Strip. Most of all, we see in this case the central importance of schooling and education in culture-war battles far beyond the shores of the United States. It seems whenever two groups come into drawn-out conflict, schools become an important battleground. We get a reminder this morning that in some parts of the world, schools are central battlefields in more vicious culture wars. The New York Times reports on Hamas’ education reforms in the Gaza Strip. Starting in September, boys and girls above age nine will be separated more strictly in school. Gaza schools will teach more aggressively that Palestine belongs wholly to the Palestinians. Successful students in this new education regime will be “committed to the Palestinian, Arab and Islamic culture,” according to the Times. The new rules are not intended mainly for existing public schools, which usually already observe these rules and teach these ideologies, but rather for about twelve private and Christian schools. As we’ve noted before, it is important to remember how central schools can be to the bloodier sorts of culture wars that have only rarely infected American culture. It is a sobering reminder of the dangers of excessive rhetoric and over-zealous culture-war combat. In places like the Gaza Strip, as in Nigeria and elsewhere, education policy is often just an extension of military combat. Lest we get too complacent, let’s remember that America is similarly prone to culture-war violence, from abortion-clinic shootings to the murder of homosexuals. When we argue about what culture our schools should teach, let’s remember we all want to keep the peace. What is a Culture War? In America, it generally means an angry squabbling over such issues as the proper role of religion and traditional culture in the public square. Should public schools teach evolution? Does a fetus have equal human rights? Should homosexuals be allowed to marry? Recent headlines demonstrate the terrifying possibilities of other forms of culture war. In central Nigeria, for instance, Islamic militant group Boko Haram has sharpened a bloody conflict between Muslims and Christians. The organization has bombed Christian churches and killed Christians who would not convert to Islam. Could such atrocity result from America’s milder culture wars? After all, America is no stranger to intensely violent civil war. It’s not hard to imagine a new breakout. Jonny Scaramanga of Leaving Fundamentalism has argued recently how easy it is to envision a Bible-Christian theology of suicide bombing. And unfortunately we don’t even need to imagine. With shootings of abortion providers and murders of homosexuals, not to mention generations of lynchings and white-supremacist violence, Fundamentalist America has proven itself capable of war, genocide, and atrocity.The Left, too, has shown its teeth. When the Students for a Democratic Society splintered in the late 1960s, the Weather Underground faction devoted itself to a nearly suicidal campaign of bombings. More recently, too, angry anti-fundamentalists such as Dan Savage have demonstrated their willingness to demean and belittle their Christian audiences. Now, we need to be careful here. There is a vast gulf between Dan Savage’s culture-war anger and the bombing of churches. There is also, thankfully, a huge divide between ardent advocacy for a more thoroughly Biblical public culture and pogroms. The point, though, is that the aggressive bombast of America’s culture warriors makes it depressingly easy to imagine an America in which culture war turns into real war. At the risk of sounding apocalyptic, let’s imagine some of the ways America’s culture wars might escalate into something far more horrific. 1.) Geographic contiguity. If two or more regions developed a sense of beleaguered cultural identity, those identities could form the bases of separate warring nations. For instance, when the eleven states of the Confederacy determined that their interests were no longer defended in the Federal government, they seceded. Similarly, during the War of 1812, the Hartford Convention nearly led to the secession of the Northeast. In today’s politics, we can see some sense of a sharpening coastal/flyover divide, a red state/blue state antagonism. 2.) Connection of culture issues to existing racial/ethnic/religious divisions. These divisions have often proved the most explosive in American history. Wars and riots among groups such as Native Americans, Irish-Catholic Americans, and African Americans have burned America’s cities and bloodied America’s plains. Were similar connections be made between ethnic status and religious affiliation, similar violence could certainly emerge again. Our hopes, of course, remain high that America’s culture wars will mitigate, not escalate. The purpose of this blog is to build intellectual bridges between Fundamentalist America and its critics. Nevertheless, the depressing norm from history and current world events is for culture wars to attach themselves like lampreys to other sorts of conflicts, escalating the bloodshed as each side sees itself as holy warriors in a righteous cause.